Frankly, I had enjoyed the war. 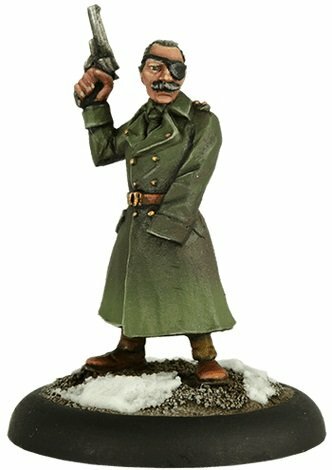 Adrian Carton de Wiart was a Belgian aristocrat who survived eleven wounds across three wars, led infantry charges on three continents, survived two plane crashes, was shot in the face at least three times, lost an eye, a hand, and a lung. He fought in the Second Boer War, against the ‘Mad Mullah’ in British Somaliland, on the Western Front in the First World War, ran the British-Poland Military Mission in 1918, escaped the invasions of Poland in 1939, commanded Anglo-French troops in Norway in April 1940, was captured by Italian forces in 1941, toured China and the Burma Front in 1945, and finally retired, an old warhorse and diplomat, at the age of 66. This is a limited edition figure. Each miniature comes in a numbered gift box.